Michael N. Mercurio, Esq. is the head of Offit Kurman’s Anatomy of the Deal, a series of exclusive events for entrepreneurs, owners, and C-level officers interested in learning more about mergers, combinations, and joint ventures for small and mid-sized companies. Mr. Mercurio provides business strategy and legal counsel to businesses going through a merger or an acquisition. As a part of this event series, Mr. Mercurio spoke on the Dissecting the Deal panel to offer insight into a local business merger and acquisition that he served as legal counsel for. Mr. Mercurio and the panel analyzed the challenges and obstacles that occurred while merging the two businesses, as well as the prospective success of the merger. After the facilitated panel discussion, the audience asked more specific questions in an open question and answer session. 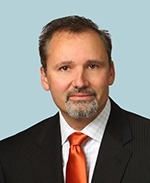 Business attorney and M&A lawyer Michael N. Mercurio serves as outside general counsel on matters related to business law, M&A, and real estate law. As a strategic partner to firm clients, Mr. Mercurio regularly counsels entrepreneurial individuals and assorted entities on all aspects of business and commerce, with a core specialty in mergers and acquisitions—both from the sell side perspective and buy side perspective.